Light: mediumWatering: keep soil moist, avoid sogginess, but do not allow soil to completely dry out. These dainty, shade loving ferns come in many different varieties most of them with fine wiry black stems. It is this trait that gives them their common name of “maiden hair” because the stems were thought to resemble shiny strands of hair. 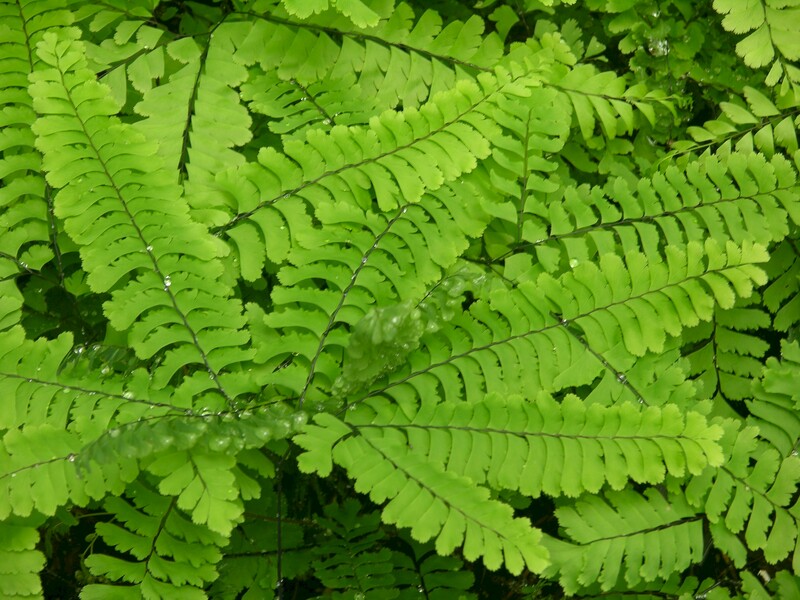 The Latin name “Adiantum” means “unwetted” and refers to the unusual way water will bead up on the fronds of this fern.